If your business isn’t taking advantage of responsive web design right now or planning on it in the very near future, and you rely on your website for generating new customers, then you're in trouble! You don’t depend too much on your website to stay competitive in business. You are familiar with responsive web design, have decided it’s not the right direction for your business, and you have an alternative mobile strategy in place already. If any of these apply to you, then you’re probably ok but if your company depends on its website enough that losing the business it brings to you would be a serious blow, getting a responsive website before the end of the year should be your #1 priority. If you've never heard of “responsive web design” then don't worry, it's a relatively new way of building websites, and you're with the majority of people. Responsive web design is basically a website design that changes gracefully to fit on desktop monitors, tablets, and smartphones. If you've ever visited a website on your smartphone and it was just a very small version of what you would see on your desktop, then that would be a non-responsive website. You probably had to zoom right in and move around the website just to be able to read the text! 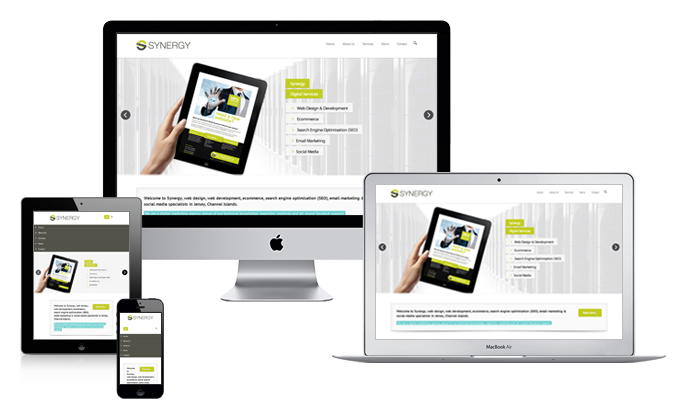 A responsive website looks great no matter whether you’re viewing it on a desktop, tablet or smartphone. No zooming just simple scrolling, with readable text and images optimised to the correct size. Well basically it's much better, and your competitors will all be doing it pretty soon, if not already. ...and their demands are simple, a functional and easy to navigate website. If yours is still a fiddly non-responsive website then they'll look elsewhere for an easier browsing experience. Facebook recently announced that 78% of its visitors are mobile users. These numbers speak volumes, but then you probably already know that everyone is now browsing the internet on their phones, so it's no big secret. 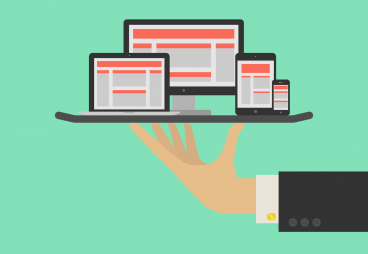 Responsive website design, what's the cost? No more than non-responsive web design! Your existing website may be suitable to be overhauled, we would need to check, but if not then creating a brand new responsive website would cost no more than if we were creating a new non-responsive website. To read about our web design services click here.